William Morrow Paperbacks, 9780062698605, 384pp. 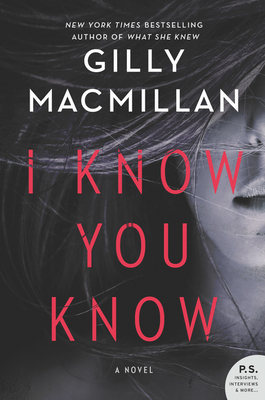 Gilly Macmillan is the Edgar Nominated and New York Times bestselling author of What She Knew. She grew up in Swindon, Wiltshire and lived in Northern California in her late teens. She worked at The Burlington Magazine and the Hayward Gallery before starting a family. Since then she's worked as a part-time lecturer in photography, and now writes full-time. She resides in Bristol, England.